Uniweld Products, Inc. participated in a recent GAWDA Regional Conference at Atlantic City NJ. Tom McCormack, Regional Sales Manager and Joan McCormack, associate, represented the company in the 2 day event, May 11 and 12. Uniweld Products is a supplier member for the organization. 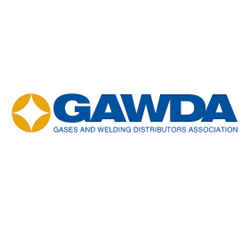 GAWDA is an organization of welding and compressed gas distributors located in the U.S. and the Caribbean. The meeting had over 100 attendees comprised of distributor members, supplier members and their guests. The attendees spent the first part of the day with a tour of several Cape May, NJ, wineries. The arrival evening buffet dinner and social hour started the meeting with an informal 'meet and greet' in the Diamond ocean front meeting room at Bally's. The Thursday morning meeting included a networking breakfast buffet and a general session with a panel of speakers. Part of the presentations focused on GAWDA's involvement with college scholarships - all to the benefit of members and their family members. Last year there were ten $2,000 scholarships awarded to the applicants, all to promote and benefit the welding industry. Features of the speakers' comments included advice on companies having a digital strategy. Extending the reach of the organization is important. Being able to purchase online is not mandatory, but all should remain accessible. Social media: don't hide from it; don't hide behind it. The featured discussion was a GAWDA informational report on the GAWDA Gives Back program. GAWDA Gives Back is a charitable process in which the GAWDA organization contributes money to needy programs where locals are impacted by the presence of their national meetings. Tom McCormack, Uniweld Regional Sales Manager was present at the conference. The importance of these regional meetings is to keep or create a direct line of communication in the B2B world. Regional attendees are usually the staff of companies left to mind the stores or businesses when the GAWDA national meeting or SMC meetings are attended by ownership or top management. Relationships between companies are essential to keep businesses in front of each other.